Currently seeking applications for multiple positions. Call 581-3583 or email CUGR@maine.edu for more information. 2017-2018 Available Positions: Currently Hiring!! Average 10Hr/Wk, depending on availability and need. Work-study Internship – Hours per week vary, based on availability and need. Salary based on work-study amount for the given semester. Both positions can also count for academic credit, depending on student academic department cooperation. These positions are open to all academic disciplines/majors. The hiring is based on one’s ability and capabilities to perform given tasks. Student Research Grant: funds are given, on a competitive basis, to undergraduate students participating in faculty-mentored research projects. These projects are to be presented to their peers and community leaders. Faculty Research Fellows: supports faculty efforts towards improving undergraduate research and scholarship mentoring skills, expanding curricula to include research and scholarship experiences, and developing proposals for further funding specifically involving undergraduate students. Annual Symposium: Previously known as the “Annual Showcase”, this is open to all undergraduate students across disciplines on campus. It is an opportunity for students to present their research in the form of a poster, exhibit, or oral presentation. Ability to perform general office assistance such as answering phones, managing databases, creating Newsletters, etc. Excellent communication skills; including writing, proofreading skills, and speaking. Ability to accomplish projects within the given time frame. Proficient using the latest versions of Microsoft Word, Excel, PowerPoint, email systems and web searches. – Contributes to website redesign projects in various ways. – Monitors and posts on blogs, forums, and social networks. – Manages online outreaches and promotions using Facebook, LinkedIn, Twitter, and more. *As with any position in our organization, we have high expectations for quality. Please Send your resume and qualifications to CUGR@maine.edu. CUGR will contact you to schedule an interview upon receipt. Work-study Internship – Opportunities for approximately 10 hours/wk. averaging 2 hours/day between January – February; 20 hours/wk. 4 hours/day March – April (based on availability). Salary based on work-study amount for the given semester. Volunteer (non-paid) internship -Opportunities for approximately 10 hours/wk. averaging 2 hours/day between January – February; 20 hours/wk. 4 hours/day March – April (based on availability). 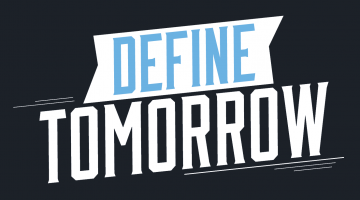 Preferred Disciplines: Communication/Journalism, Marketing, Business Management majors. This is an open application to all disciplines; hires are based on capabilities in performing given tasks. 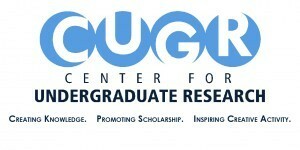 The CUGR Annual Academic Showcase is an event open to any undergraduate student at UMaine. Interns will be expected to help with event logistics (name tags, room layout and set-up, program compilation, communications/marketing, etc.). If you are interested in working with CUGR on this event please send a description of your strengths and weaknesses to CUGR@maine.edu. There is need for behind the scenes assistance as well as interpersonal tasks. CUGR does allow the option for either intern position to count for academic credit, dependent on student academic department cooperation. If you have any additional questions or concerns feel free to contact the CUGR office at 581-3583, CUGR@maine.edu. Prepare name-tags, notebooks, packages, gift bags, registration lists, seating cards, etc. Excellent communication skills including writing, proof reading skills, and speaking. Proficient using the latest versions of Microsoft Word, Excel, PowerPoint, and mail merges; email and web searches.